Vintage FISHER amber beer bottle. Frank's 1920 embossed brown soda / serving bottle. Clear glass embossed vintage bottle. Gebhardt Eagle clear glass chili powder bottle. 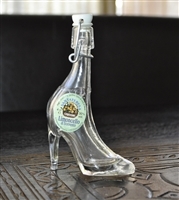 Clear glass empty Liquor Bottle with slim neck. Certo brown bottle from 1930-40s. Limoncello di Sorrento empty High Hell glass bottle with wire closure. Brown glass beer bottle from early 1900. Green glass beer bottle from early 1900. Vintage Belgian Bobble Lid Amber glass large apothecary jar canister. Listerine bottle, Owens Illinois 1944. 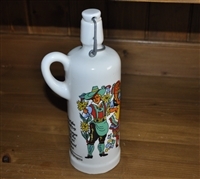 German ceramic bottle with Paul Neu decorations. Vintage glass duck and pig art glass bottle stoppers. Fly-Tox bottle from Owens Illinois, early 1900. 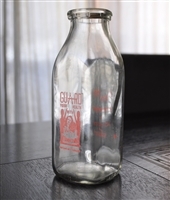 Vintage Duraglass One Pint Milk bottle. Owens Illinois glass bottle from MayflowersFarms, vintage, 1 QT. 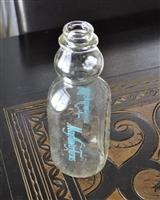 One Quart milk bottle 48-E, vintage with advertising. 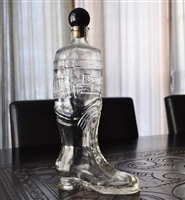 Clear glass Boot shaped bottle from Italy, Victorian style. Cobalt Blue Boston round bottle 16oz, set of two. BODEGAS CALIFORNIA brown wine bottle. Vintage glass apothecary jars made in Japan used as spice jars. 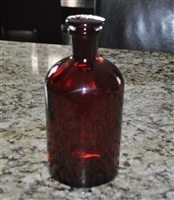 Apothecary Ruby red PYREX bottle with stopper.